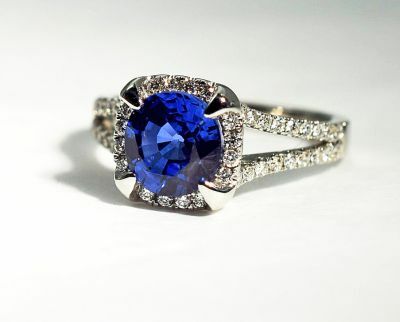 A stunning modern 18kt white gold ring featuring 1 cushion mixed cut medium dark blue sapphire, est. 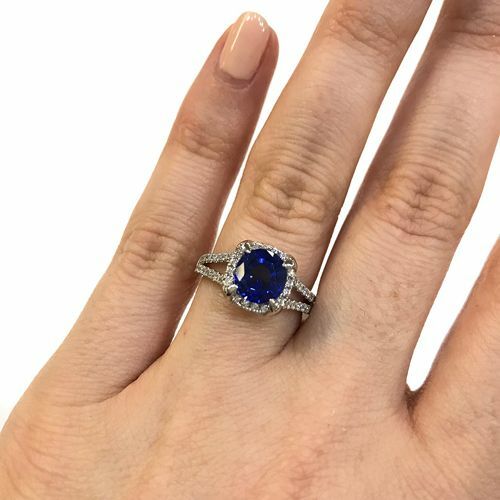 2.26ct and 54 round brilliant cut diamonds, est. 0.63ct (SI1-I1 clarity & G-H colour). 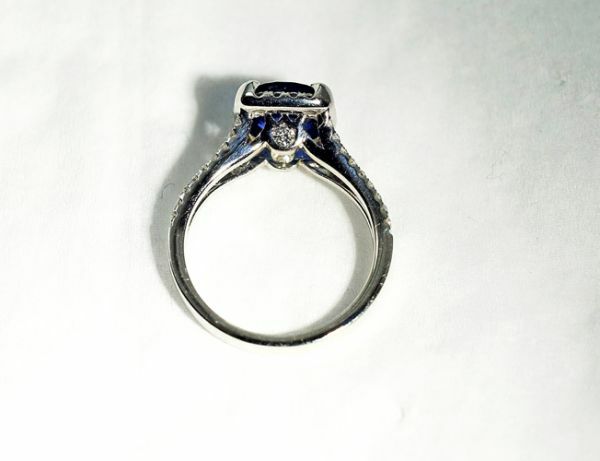 Under the top and included within the total diamonds, is a diamond on each end of the ring.